Trees that grow in an urban environment can often be affected by the conditions around them — namely, the soil. It can lack the essential nutrients needed for trees and plants to thrive. Fertilization, at its root, is about making the growing conditions for your trees productive and healthy again. We use an organic fertilizer made from essential minerals and other compounds (derived from animal and plant matter), which is added to your soil in prescribed amounts. The result: much-needed nourishment for your trees and shrubs, without toxic buildups and leaching (soil contamination) issues that can arise with non-organic fertilization methods. 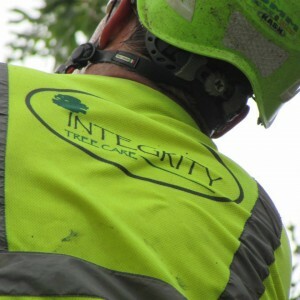 By using natural compounds, Integrity Tree Care avoids the leaching issues and toxic build ups that can be associated with non-organic fertilizers. By working with nature, supplementing the materials nature would provide in an ideal situation, your trees and shrubs can be kept vibrant, healthy and looking good for years. For expert assistance with organic fertilization in Fort Worth, Dallas or surrounding cities, contact us today! Our organic fertilizers can’t be beat. Have you ever wondered how organic farming came about? The book’s widespread acclaim led to a nationwide ban on DDT in agriculture. It is also credited with being the first step toward the development of the U.S. Environmental Protection Agency. The main ingredient in organic fertilizer is peat, which is a decomposed vegetable matter. Other components include animal waste from slaughter houses, compost and chicken manure mixed with sawdust. The latter mixture, according to the Agricultural Research Service, is particularly effective; cotton fields fertilized with chicken litter had a 12 percent increase over fields that used synthetic fertilizer. 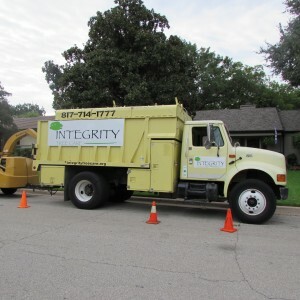 We’re the company to call for organic fertilization in Fort Worth, Dallas and the surrounding area. If you have any questions about organic fertilizers, contact Integrity Tree Care specialists for answers!